The Liftkar PT helps provide freedom to places where access is limited. 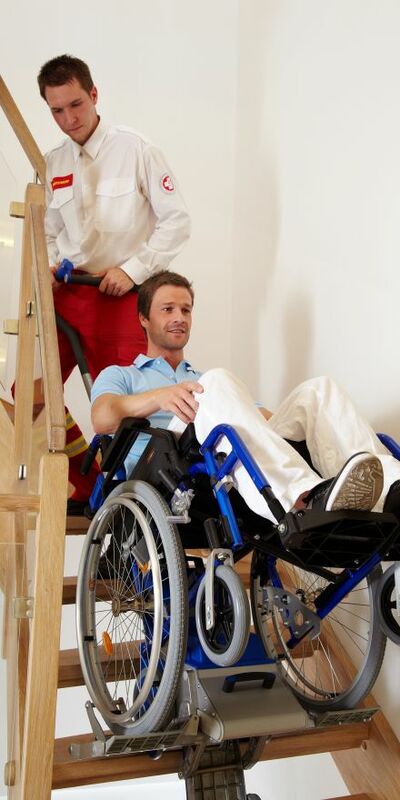 Running on its own battery, this stair climbing people carrier can be used virtually anywhere to overcome the problem of steps and staircase. Model available with their own seat or the ability to carry non powered wheelchairs.